The Dordogne offers many courses and circuits for all levels. 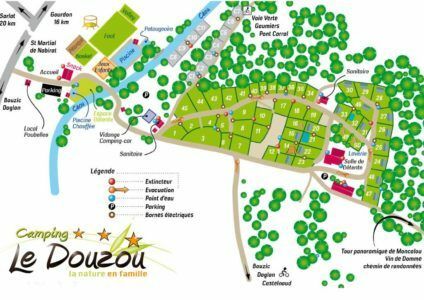 You will be able to test yourself on the famous circuit of St Pompon, set of the cup of France of VTT, of which the Douzou is partner. 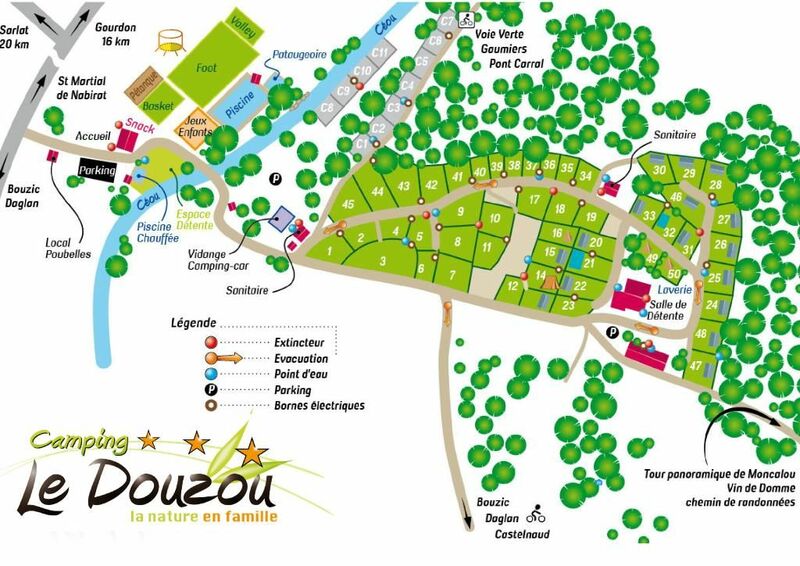 But you can also simply walk around and enjoy the landscape on the green lane that runs through the campsite linking Castelnaud la Chapelle and its magnificent castle to the New Abbey in the lot. 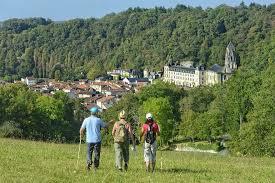 At the start of the campsite, hiking trails will allow you to discover the valley of Céou. You can go to the panoramic tower of Moncalou offering an exceptional viewpoint. A multitude of routes for the whole family are available to you, we have maps listing all the paths. 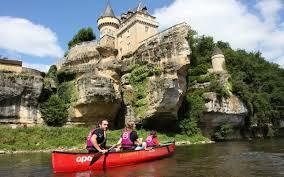 Activities for the whole family, you can discover the Périgord under a different glance while traveling on the Dordogne river in Canoe. The walks in Gabarres, large wooden boats with flat bottom, are from the Roque Gageac, near the campsite. 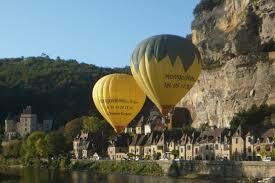 Let yourself be guided on the Dordogne and relive the transport routes of goods as they were in the 18th century. 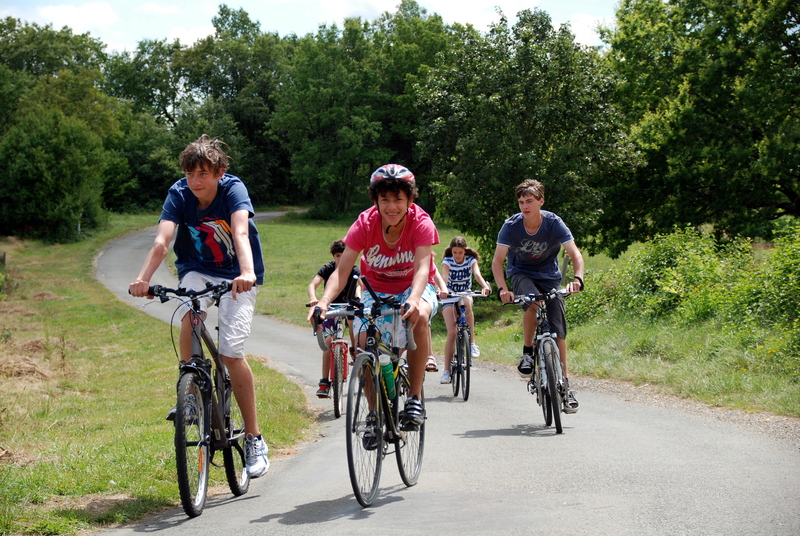 Whether at the campsite with our activity on Tuesday morning of pony rides or outside with our partners, you can make beautiful walks in the Périgord countryside. 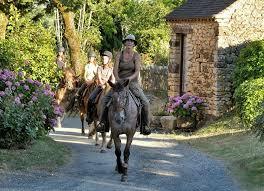 The equestrian center run by Edwige is a few minutes from the Douzou and offers tailor-made tours for the whole family. You will have the choice among many other sports and natural activities near the campsite. We will advise and guide you. A visit of castles, a walk in a small village, a descent into a chasm or the discovery of an exceptional terroir.